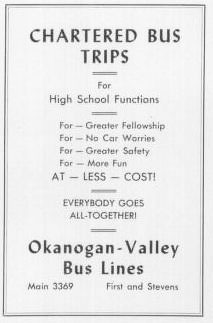 Chartered bus trips for high school functions. For greater fellowship, for no car worries, for greater safety, for more fun at less cost. Everybody goes all-together! Main 3369.